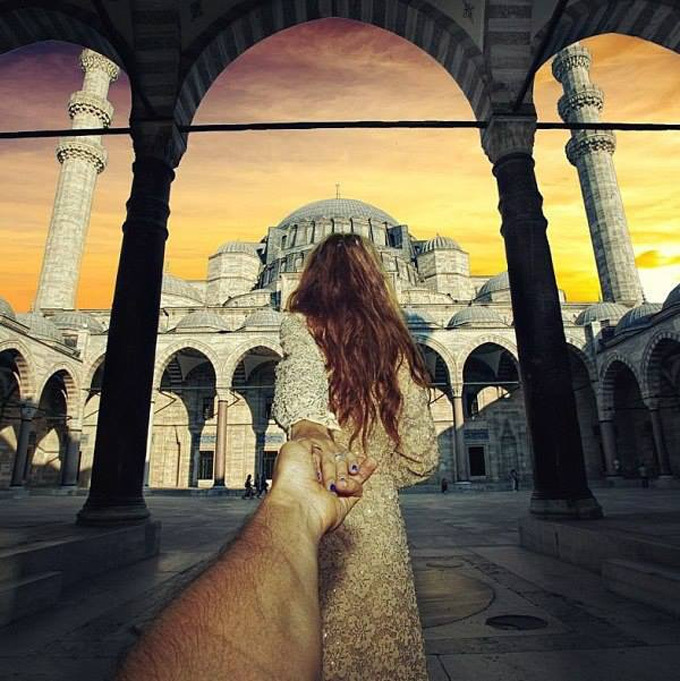 The series of photos made by Russian photographer Murad Osmann entitled "Follow me" have now become a movement around the world, inspiring others to follow suit. 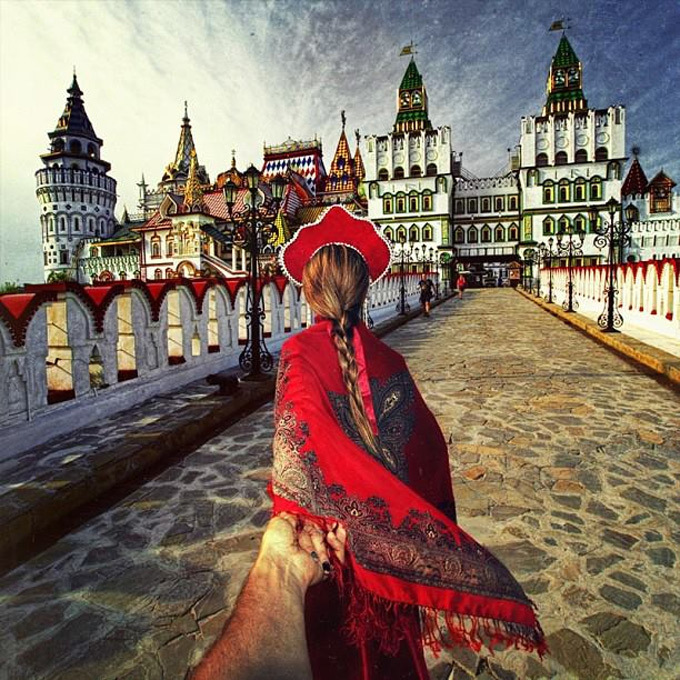 This amazing series of photos started as Instagram project of Murad and his girlfriend Nataly Zakharova. Since these pictures are really worth more than thousand words, this became bigger and bigger. 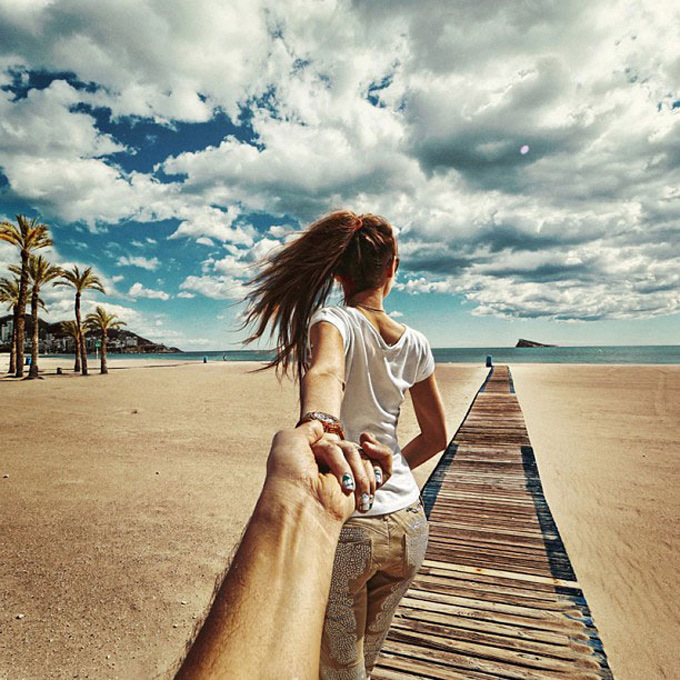 The story behind the photos, as you can see is girlfriend leading photographer her boyfriend on the journey that looks like a fairytale. The colors on these pictures are amazing and the girlfriends outfit always matches the background, representing the culture where they are, and showing the magnificent cultural viority on so many levels. Her back is always turned to the camera and on these photos, her face is never revealed. This moment is something that adds mystery to this love story. 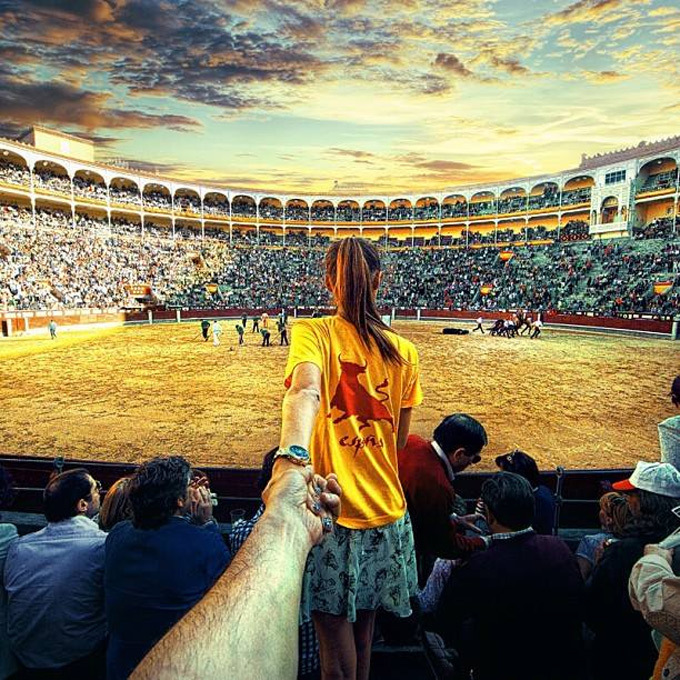 Although you can see what this girl actually looks like, you have to be in love with her, or amazed with what she represents. 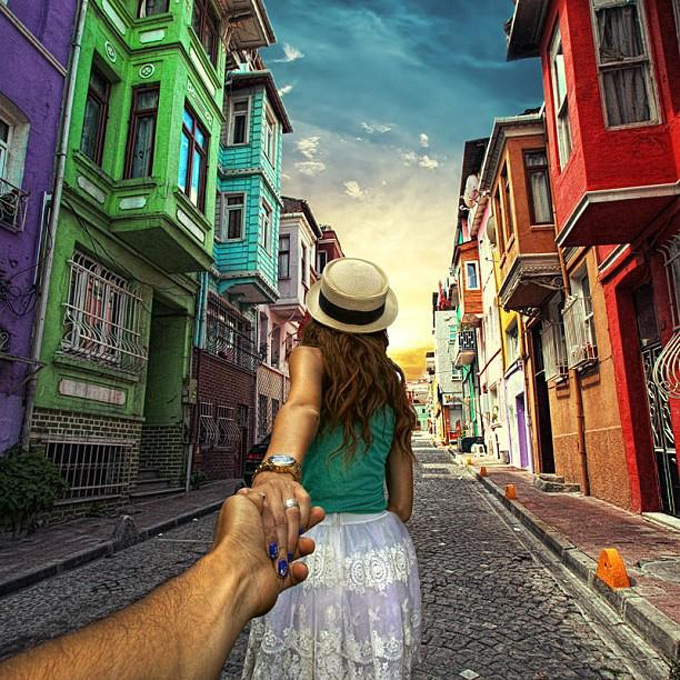 Wouldn't you like to be led into journeys of life by your beloved one? 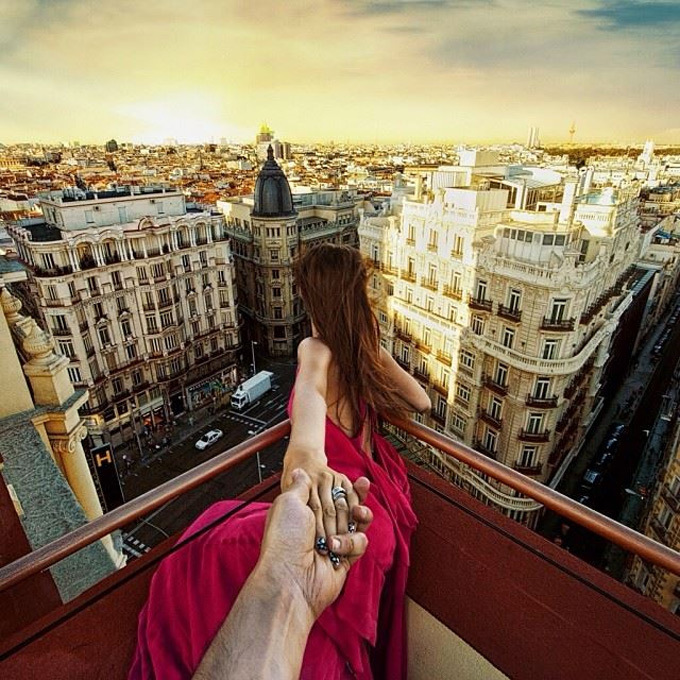 On these photos you can see them (actually part of his hand and her back) at Barcelona, Spain, and stunning sight of Casa Mila. 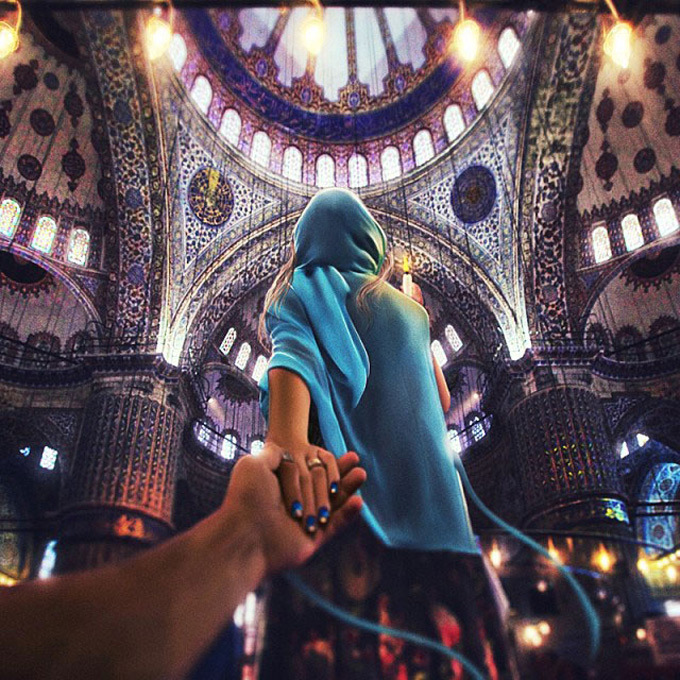 Also, in Istanbul where they are showing the beauty of Muslim culture, with her wearing sparkling dress or the blue mantle in the Blue Mosque. 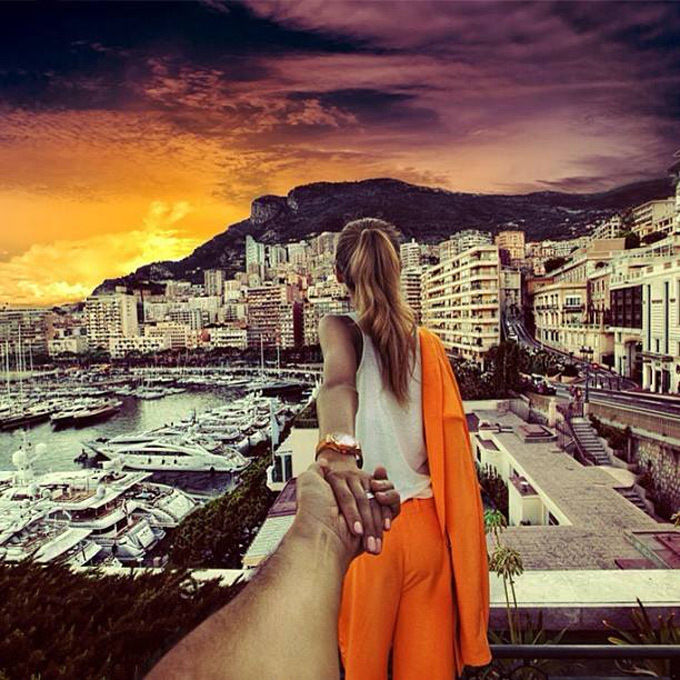 Weather they are in Monaco, watching sunrise, in London visiting modern art installations or New York, just walking down the Times Square, Osmann keeps a visual record of their escapades as he trails behind his beloved. 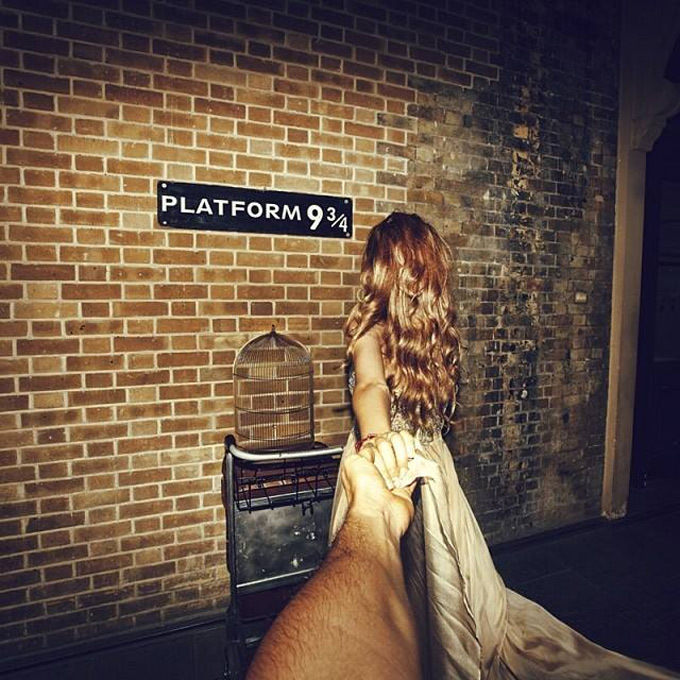 This movement is spreading it's influence really fast because it's strength is based on love and imagination, so we hope to see more of these photos soon.